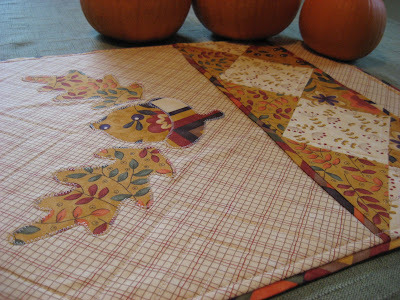 Don't confuse this post with the Fall into Fall Giveaway that's been going on for a few days now. You can find that by clicking HERE, and enter to win an Awesome Fall Table Runner just like this one! But this one - the one in the pictures below - is sitting fat and happy over in my Etsy shop just waiting for the right person to notice how fabulous it would look on their own Thanksgiving table! 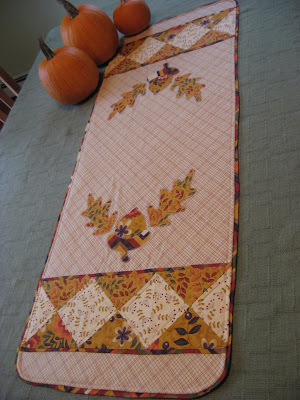 I made this table runner from my own original design, which will also be available for purchase soon, and I used the Sandy Gervais fabric line called Awesome. She designs fabric for Moda, so you know it's high quality stuff! This runner measures a generous 16 by 39 inches so it will fill up the middle of your fall table quite nicely. 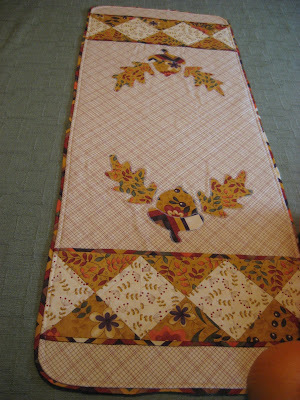 The center of the runner would be just perfect for a pumpkin or a fall wreath with a candle in the middle. 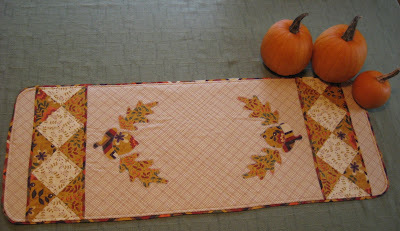 Or you could add to the leaves and acorns already on the runner, but collecting your own from outside and arranging them around your favorite pumpkin spice pillar candle. How festive! Do you join others for Thanksgiving dinner at someone else's house? This would be a very thoughtful gift for your hostess that she could use year after year to dress up her table. End of sales pitch! 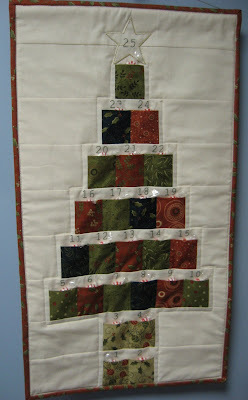 So this is what I've been working on down in my sewing room lately. 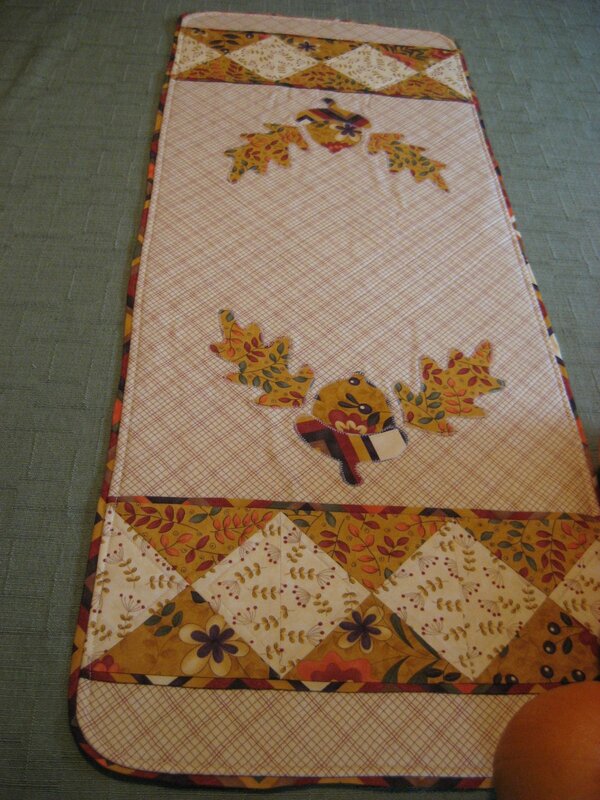 I have made three of these runners, one for the giveaway, one to put in my shop and one to put on my own table come Thanksgiving. 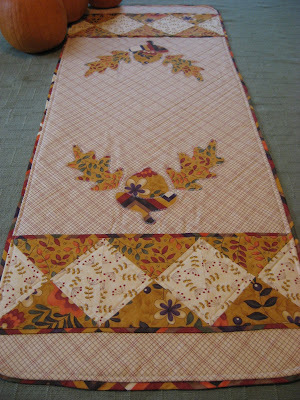 I just love working with Sandy's fabrics and colors and creating pretty things with them. I'll be writing up the pattern for this runner and making it available in PDF format over at my shop very soon, and I might even have one to give away as a second prize in the Fall giveaway. You just never know! As I type this, I am enjoying the wonderful smell of applesauce cake baking in the oven. We went apple picking over the weekend and I made a big batch of applesauce from the apples that were leftover after making apple crisp. I used some of it in the applesauce cake, and I divided the rest into one cup portions and put them in the freezer so I will be able to make applesauce cake in the winter using homemade applesauce! I hope you are enjoying all the delicious smells that this fall season has to offer! Pretty. 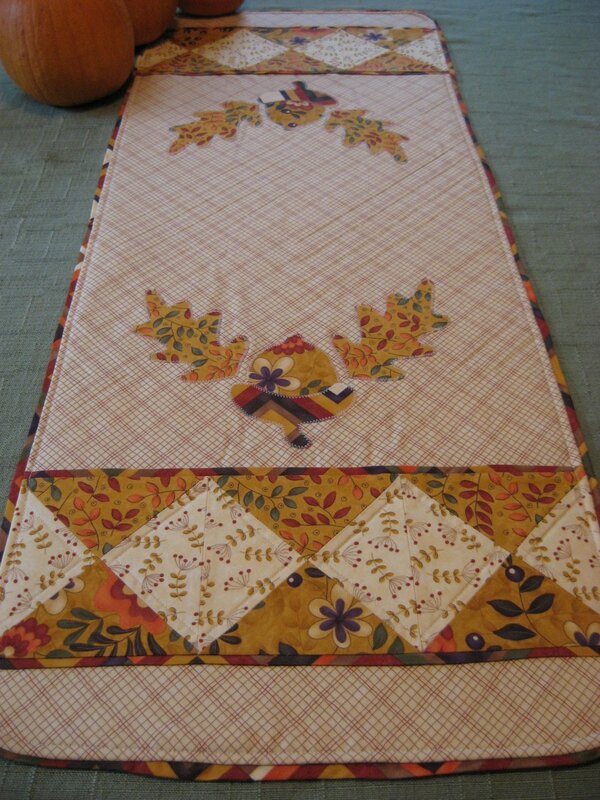 Love the rounded corners and the quilting. We plan to go apple picking today. I love homemade applesauce and son wants an apple rhubarb crisp. I love cooking/baking with apples. I haven't tried homemade applesauce, but may try it.